In an effort to clean up my backlog of entries (curse my tendinitis, luckily I’m going to get therapy soon), I’m posting about the series of the new season that I found interesting. I will start this by talking about the most recent Sunrise production, by the same staff of Mai-HiME and Mai-Otome: Idolm@ster XENOGLOSSIA. It’s a spin-off from a video game, but it bears little or no resemblance to it. In the future, the Moon has disintegrated and its fragments orbit Earth. Should they pose a threat to the planet, giant robots (Idols) are dispatched to take care of the problem. The episode opens with one of the characters, Haruka Amami, being admitted at a prestigious school in Tokyo. 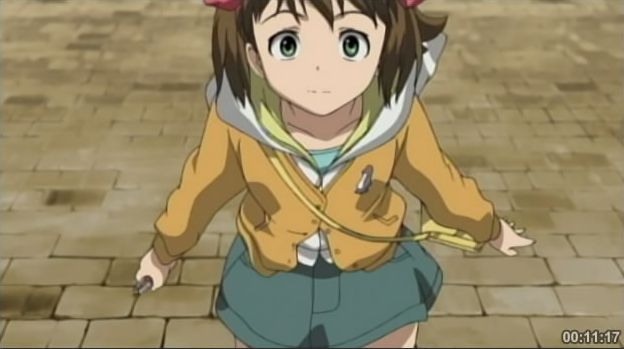 Haruka moves towards Tokyo but she isn’t very knowledgeable on the way, and not even meeting up with another future student (Yukiho Hagiwara, who, like her, holds a rather strange keychain) helps. Meanwhile, the two are spied by a woman, and at the same time other two people are moving to Tokyo for unknown motives. An Idol is dispatched to take care of a fragment in orbit (a way to show both the base where they are launched from, and the people inside), while Haruka and her companion struggle to find the right way. They end up in front of the sea, where the old Tokyo was (the result of a catastrophic event?). Haruka makes a positive comment on Idols and that seems to activate one, buried under the sea. At the base they’re aware of such an event but they’re totally unable to stop it, as the Idol breaks down every barrier. 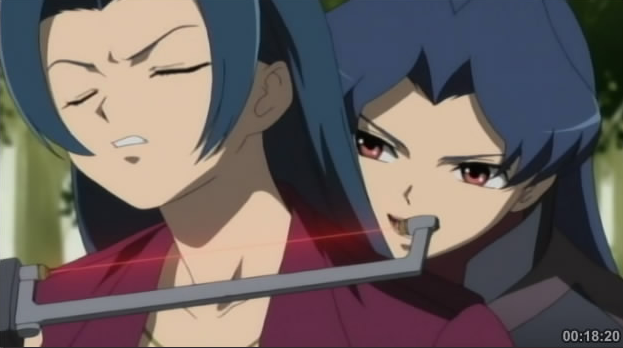 As it emerges, the shockwave knocks out Yukiho, and at the same time the woman who was following them (and saw the scene) is confronted by one of the two people from before (Chihaya), while the other (Riffa) talks to Haruka. 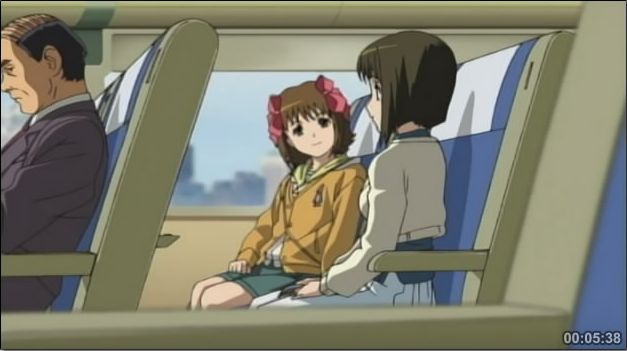 In the events that ensue, Haruka ends up into the Idol’s cockpit, while another Idol (Chihaya’s) appears behind it. That’s how the first episode ends. Animation-wise it’s very nice, but again we’re talking about Sunrise here, so the budget is probably high. I noticed that like Mai-Otome’s Arika, Haruka comes from the province and is not used to large towns. As for the story, this is an introductory episode, so I can’t really make any judgment yet.